Shopping for a new Audi A5? The Audi A5 Sportback offers the utility of a hatchback with the sleek looks of a coupe. The 2018 Audi A5 family grew this year. In addition to the coupe and convertible, the A5 now includes a devastatingly good looking Sportback that takes the two-door's silhouette and adds two more doors. 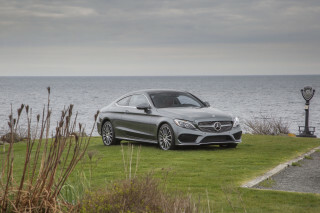 It's the sedan-based-on-a-coupe-based-on-a-sedan trope that's popular with German automakers. The A5 shares its running gear with the A4 sedan and Q5 crossover. 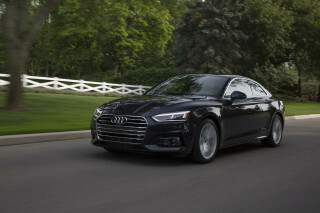 All A5s come with Audi’s Quattro all-wheel-drive system, though the coupe has the Quattro Ultra system, which can disconnect the rear axle to save fuel. Sportier variants called S5 (in all body styles) and RS 5 (offered only as a coupe) are available as well, but we review them separately. The A5 has one engine. 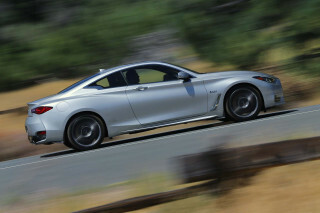 It is a turbocharged 252-horsepower 2.0-liter inline-4 mated to either a 7-speed dual-clutch transmission or a 6-speed manual (the latter only in coupes). The A5 doesn’t want for power, with a 0-60 mph time in less than six seconds, and it cruises in relaxed comfort. Fuel economy is good, too, at 27 mpg combined. The engine has moved farther back in the chassis and the car has cut a bit of weight, helping to improve handling. It’s a sportier car this time around, but the S5 and RS 5 are for those who want a true grand tourer (in the case of the S5) or even a track car (the RS 5). Even at the A5 level, though, a Drive Select system lets drivers harden or soften the edges. Audi gives the A5 more active safety gear for 2018, adding forward collision warnings with automatic emergency braking, rear cross-traffic alerts, and active lane control. All A5s are well-equipped, with features such as leather seats, automatic climate control, Audi’s MMI infotainment system, and ambient interior lighting. Options include navigation, a Bang & Olufsen sound system, Audi’s high-tech virtual cockpit digital instrument cluster, adaptive dampers, and 4G LTE data services with a wi-fi hotspot. The Audi A5 retains its sleek good looks but adds a handy new hatchback and state-of-the-art interior technology. The 2018 Audi A5 started out as a coupe that set the standard for sport coupe styling. Now in its second generation, Audi hasn’t strayed far from the elegant, understated, yet sleek look that earned the car accolades from the beginning. The convertible loses some of the coupe’s grace due to the loss of the top, and the Sportback plays off the flowing lines of the A7, another Audi that has earned praise for its beauty. All models have interiors that combine clean, horizontal lines with technology in a holistic way. The A5 coupe retains the classic muscle car haunches it’s had from the beginning. The lines are a bit sharper than those of the previous generation. It takes a sharp eye to notice the changes, though, as the new A5 is certainly an evolution instead of a revolution. That’s what you do when you have a winning formula. The new A5 Sportback combines elements of the A4 sedan and A5 coupe. It gets the A4’s wheelbase and shares the same look from the A-pillars forward. From there, the roof sits low like the coupe’s, and the hatchback roofline is essentially an elongated version of the coupe’s roof. The rear of the roofline resolves into a lower, sleeker profile than the BMW 3-Series GT, but it isn’t quite as elegant as the look of the A7, which has more room for its lines to play out. Inside, all A5s sport a classy look with horizontal lines, and low-gloss black plastics offset by leather upholstery, as well as wood or metal trim. Audi integrates technology into the cabin in a natural way, adding its MMI rotary dial control interface with a center screen and a 12.3-inch digital instrument cluster Audi calls its virtual cockpit. Both work well and help create a state-of-the-art look for the cabin that isn’t too confusing or futuristic. The 2018 A5 offers a comfortable ride, balanced handling, and a strong engine that emits a subdued note. The performance of the 2018 Audi A5 is better in every way. It makes more power, the engine is set back farther in the chassis to improve balance, and slight weight savings boost its handling as well. The new turbocharged 2.0-liter 4-cylinder engine makes more power this year, spinning out 252 horsepower versus 220 horses for the last generation. 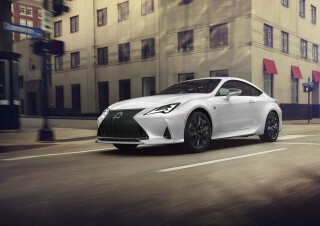 It is mated to a 7-speed dual-clutch transmission in all body styles, but the coupe also gets a 6-speed manual transmission. 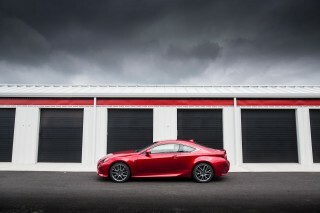 The turbocharged engine lacks turbo lag and instead delivers crisp throttle response at any speed. The 0-60 mph sprint takes as little as 5.7 seconds, which is pleasantly quick, but the A5 accelerates in a drama-free manner, with little engine noise and a fairly smooth, quick shifts from the dual-clutch transmission. Shift paddles are standard for those who want to choose their own gear, but they are rather small and plastic. On the road, the A5 is still biased toward comfort instead of performance, but it is a sporty, fun-to-drive car. The Drive Select system lets the driver choose from Comfort, Normal, Dynamic, and Individual settings for the steering, suspension, transmission, and throttle. Experiment with the Individual modes for each system, and you will likely find a combination that works for you in most driving. Steering response is sharp and direct, though without much road feel. The handling feels well-balanced in all but the most aggressive moves; drive hard into a bend and it may push forward rather than rotate. The S5 offers a torque vectoring rear differential to help the car rotate, but that isn’t available here. Ride quality is quite comfortable and well-composed. Those who want more power and sharper handling will have to step up to the 354-hp S5 and especially the 450-hp RS 5. We cover both separately. The 2018 Audi A5 has great interior materials. The new Sportback adds utility, while the coupe and convertible sacrifice rear-seat space for style. With the addition of the Sportback to the A5 lineup, Audi now offers an A5 with utility as well as looks. Its hatchback body style has more room in the back seat, as well a very useful cargo hold. 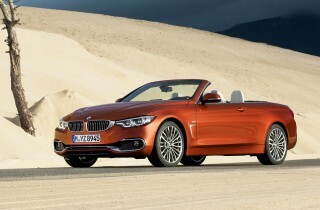 The coupe and convertible, on the other hand, have smaller rear seats and trunks that carry less cargo. The A5 Sportback adds 2.4 inches to the wheelbase, most of which is used as additional rear leg room. That makes it comfortable for two passengers 6-foot and under, provided the front seat occupants don’t move their seats all the way back. While the back row does seat three in the Sportback, it will only work for children. 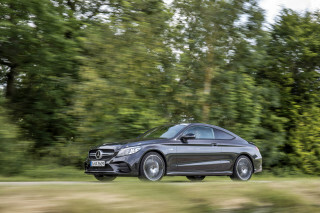 The coupe loses both head room and leg room, and the convertible has flatter, smaller seats. With only two doors, it’s also harder to get into these body styles, and even the Sportback requires a deeper stoop than the norm due to its low roofline. The A5 coupe has a small 11.6 cubic-foot trunk, and the convertible’s is even smaller at 9.3 cubic feet that diminishes to 7.2 cubic feet with the roof folded away. The Sportback, however, has a generous 21.8 cubic feet of cargo space, and that expands to 35 cubes with the rear seats folded down. Style and utility are a great combination. The 2018 A5 comes with some important active safety features, but reserves the additional safety nets for the top model. Federal testers have only weighed in on one version of the A5, the hatchback that Audi calls the A5 Sportback. It earned a five-star overall rating, which includes four stars in the frontal crash test. 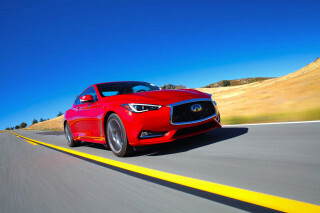 The IIHS rates the Sportback and the coupe a Top Safety Pick. Standard safety equipment includes the usual array of airbags, plus dual front knee airbags, a rearview camera, and forward collision warnings with pedestrian detection and automatic emergency braking. Cabriolets lack the the otherwise standard side curtain airbags but add larger side airbags and pop-up rollbars that deploy when a rollover is imminent. Premium Plus models add front and rear parking sensors and blind-spot monitors with rear cross-traffic alerts. A Driver Assistance package is offered only for the Prestige models. It adds adaptive cruise control, active lane control, and automatic high beams. Outward vision is quite good in coupes and Sportbacks, but blocked considerably with the top up in the cabriolet. The 2018 Audi A5 is loaded with features and offers plenty of great tech goodies. 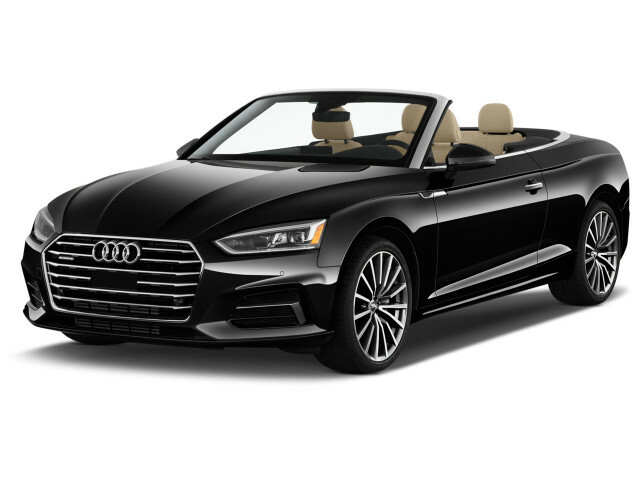 Each body style of 2018 Audi A5—coupe, convertible (Cabriolet), and hatchback (Sportback)—is offered in three trim levels: Premium, Premium Plus, and Prestige. Premium features include eight-way power leather seats, automatic climate control, a 10-speaker audio system, a 7.0-inch driver information center screen, Audi’s MMI infotainment system with a 7.0-inch center screen, Apple CarPlay and Android Auto compatibility, HD radio, two USB ports, Bluetooth, a rearview camera, ambient interior lighting, automatic xenon headlights with LED daytime running lights, LED taillights, and 18-inch alloy wheels. The Sportback adds a power tailgate and a panoramic sunroof, while the convertible gets a power soft top. The Premium Plus adds heated front seats with driver’s seat memory; full LED headlights; heated, auto-dimming, power-folding exterior mirrors with memory; an auto-dimming rearview mirror; Audi Connect Care telematics with roadside assistance, SOS calls, and stolen vehicle locator; voice control; and blind-spot monitors with rear cross-traffic alerts and vehicle exit assist that warns if a car is coming when you open the door. Opt for the Prestige and you get an alarm; satellite radio; synthetic leather on the center console and door armrests; a Bang & Olufsen sound system; a head-up display; a surround-view camera system; LED interior lighting; the Audi virtual cockpit 12.3-inch digital instrument cluster; MMI with navigation and a touchpad controller; and Audi Connect Prime, which adds Google Earth map views, Google voice search, and access to social media, internet radio, and other local information. Audi Connect requires a monthly subscription for the 4G LTE data, but enables a 4G LTE wi-fi hotspot. Notable options include an adaptive damping suspension, a cold weather package with heated rear seats and a heated steering wheel, and 19-inch wheels. Audi's excellent Multi-Media Interface (MMI) has a rotary controller that can be ordered with handwriting recognition for things such as destination inputs. It comes with a 7.0- or 8.3-inch center screen and provides access to audio, entertainment, communications, and more. The system takes some time to master, but it soon becomes intuitive, and it’s always quick to react. The virtual cockpit is a 12.3-inch digital instrument cluster that works with the MMI to provide the driver plenty of information. It has various screen views, including one with a large map right in front of the driver. It is controlled by buttons on the left side of the steering wheel. Again, it will take some time to master, but we find it to be both beautiful and informative. In any body style, the 2018 Audi A5 is quite fuel efficient for a compact luxury car. The 2018 Audi A5 is offered as a coupe, convertible, and hatchback, but the fuel economy only varies based on what transmission is chosen. All body styles with the 7-speed dual-clutch transmission are EPA rated at 24 mpg city, 34 highway, 27 combined. 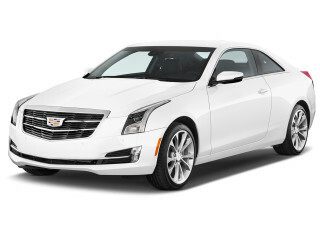 Opt for the coupe with the 6-speed manual transmission and those numbers drop just slightly to 24/33/27 mpg.